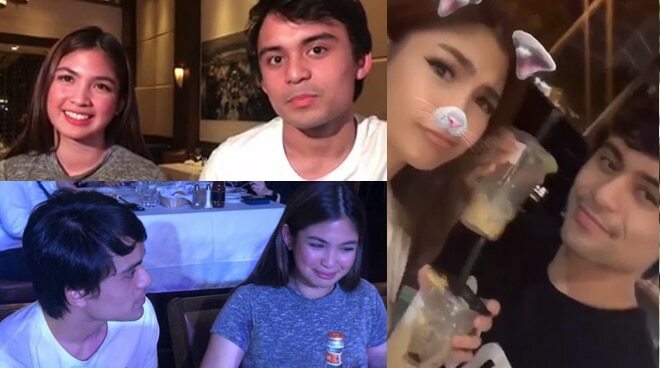 In an impromptu interview with sportscaster Dyan Castillejo which was posted on her Instagram account, Manny Pacquiao’s eldest son Emmanuel finally introduced to the world to his “beautiful girlfriend Heaven.” Emmanuel Pacquiao and Heaven Peralejo had initially kept netizens guessing as to the real status of their relationship when they first posted IG stories of themselves going out on dates. On her IG stories, Dyan asked them how they first met. “Two years ago, nasa Greenbelt lang kami ni mom, shopping, ganyan. Tapos biglang he saw us. Yung family niya, yung mga pinsan niya, tapos nagpa-picture lang sila,” Heaven recalled. Emmanuel said they ended up running into each other again exactly one year later at the same shopping mall in Makati city. “Nagpa-picture lang kami nun, thank you, yun lang. One year later, nag-meet ulit kami same place tapos coincidence,” he added.